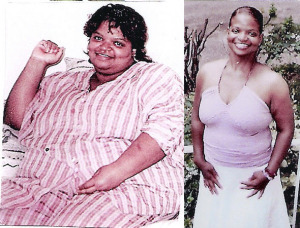 Monica Baisden weighed 375 pounds. .”I was diagnosed with rheumatoid arthritis three years ago. I had high blood pressure and I almost couldn’t walk, Baisden says. 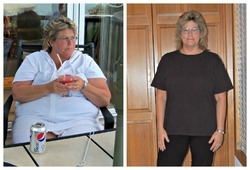 “I looked at several different ways of losing weight and decided on gastric bypass. Since I had so much to lose, I decided that would probably be my best option. Breakfast is a smoothie or sometimes cereal. Lunch is chicken breast and a vegetable. Dinner is similar to lunch but maybe a bit more of it. And she snacks during the day on fruit. 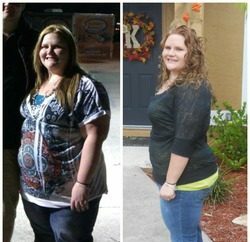 Baisden lost 213 pounds. You are truly inspiring. Thanks for the much needed inspiration to keep with my weight loss today. You do look amazing.